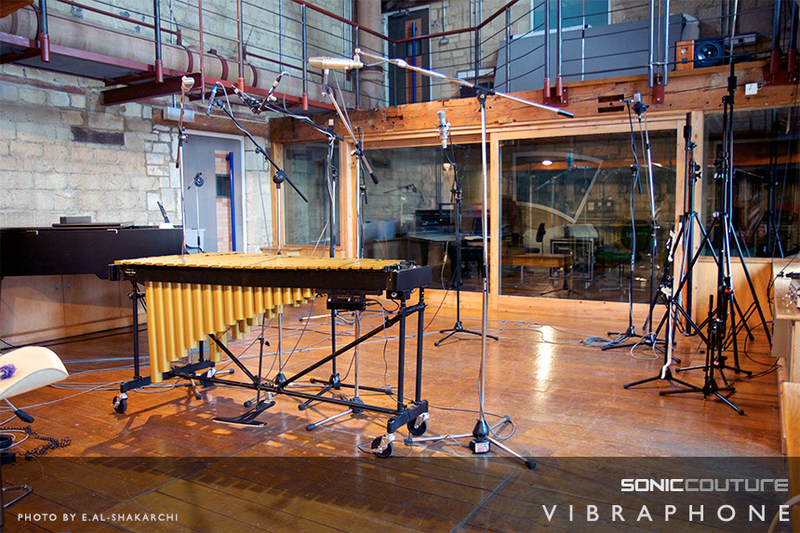 Essentially a mechanised, 20th Century variation on the classic metallaphone, the vibraphone adds a constant modulation to its resonator tubes by the use of motorised fans. The fans, or discs, cover the top of the resonator tube and spin in unison, allowing full or partial function of the resonator tube depending on which point of the cycle the motor is in. The resulting tone is a type of tremolo effect - shimmering, golden, & very wobbly indeed; due to all resonators modulating together and thus aggregating the effect on the decaying notes. Instruments that use this kind of global modulation (the Hammond C3/leslie is a similar example) are traditionally impossible to sample & model realistically, because if you record a single note with the tremolo active, it will be completely out of sync with all subsequent notes you record. 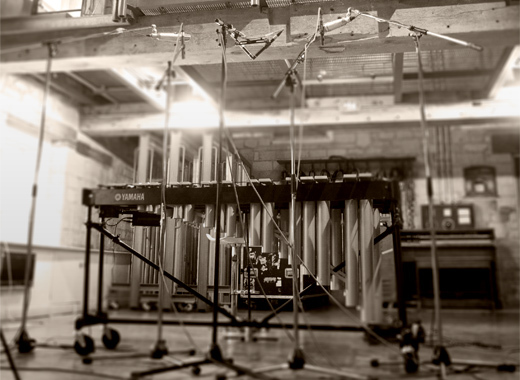 Previous attempts to sample the vibraphone usually resorted to sampling the instrument with the motor/tremolo switched off, then approximating the effect later using filters modulated by an LFO to effect the change in timbre. 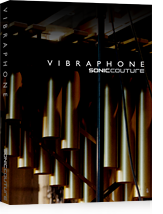 Soniccouture Vibraphone takes a completely new approach - by sampling the entire instrument twice. Once with the fans closed, once with them fully open, both times completely static - the motor switched off. 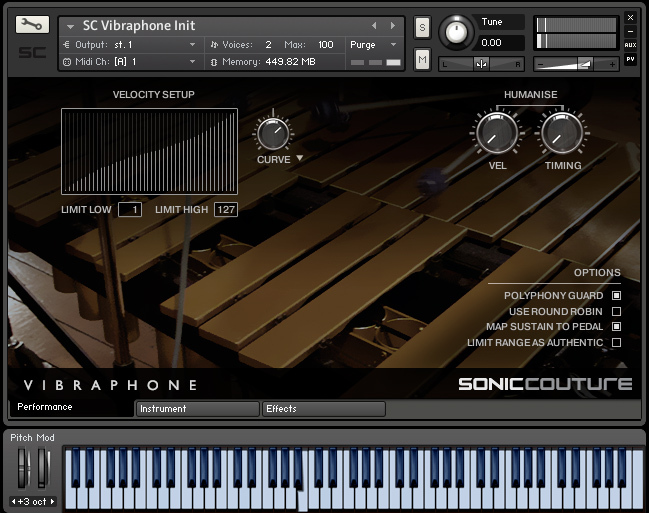 Once we have the full vibraphone sound sampled in both states - fans closed and fans open - we can then simply crossfade between them in Kontakt using a simple sinusoidal LFO. This gives not only the authentic, detailed timbre, but also full control over the speed of the tremolo, another essential element of the instrument missing from previous renderings. 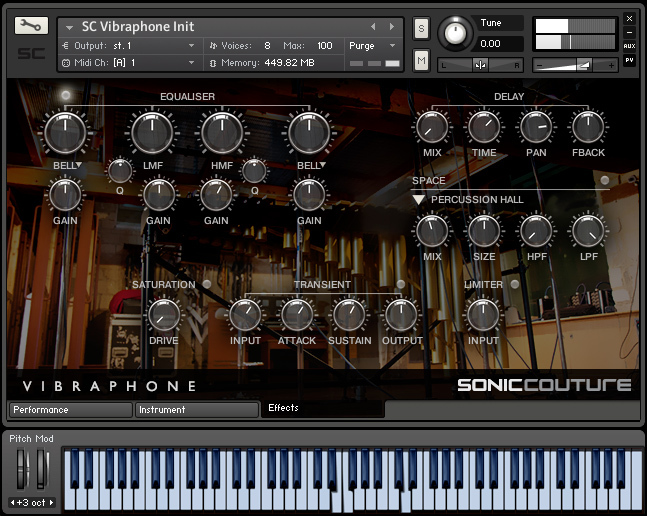 Detune layers with a fixed 'beating' function : the perceived beating is constant, regardless of which key you play. 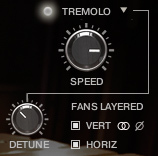 Add tremolo to any of the above effects, or turn it off for static effects. 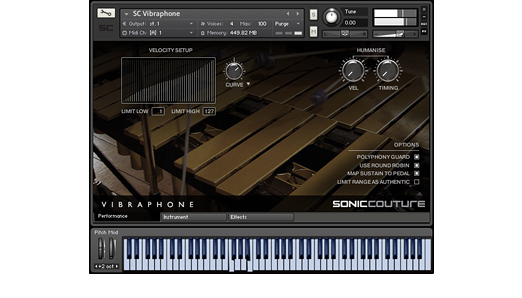 Vibraphone is a Kontakt Player (v5.1) instrument. 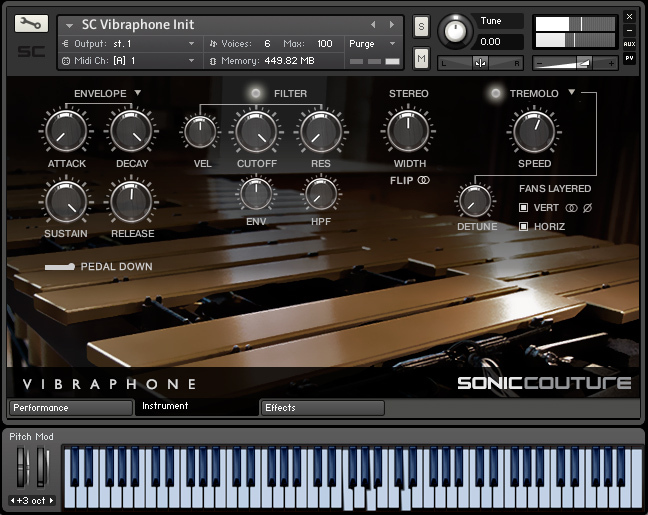 This means that you do not need to own the full version of Native Instruments Kontakt to use it. 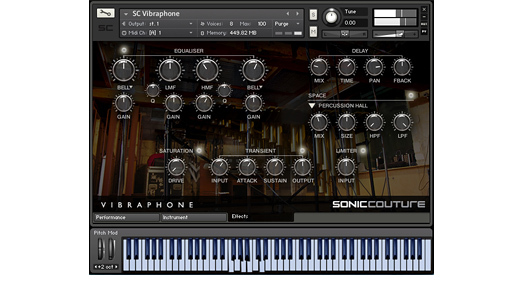 It will run as a plug-in instrument in any VST/AU/RTAS compatible host program or DAW eg: Cubase, Logic, Ableton Live, DP, Reaper, Pro-Tools etc. No extra purchase is necessary. The main instrument panel features the Tremolo modelling control section, as well as lowpass and hipass filters, with envelopes for amplitude and filter modulation. 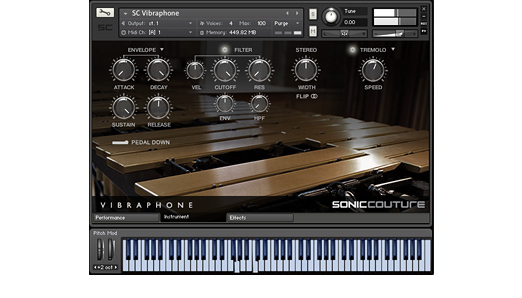 The Options panel allows the user to completely tailor the response of Vibraphone; apply different velocity curves to suit various controller keyboards; Humanise controls introduce subtle performance variations to incoming MIDI data, and various preferences allow further customisation. 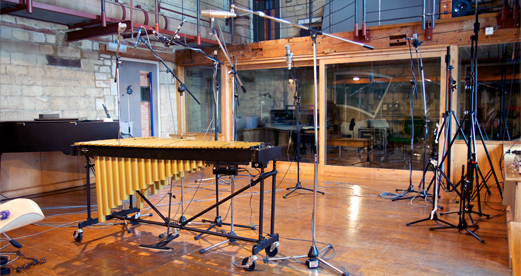 Recorded at Real World Studios, Bath, England.